Cottonwood Beach is a one-mile-long beach located on the Washington side of the Columbia River at River Mile (RM) 123, just upstream of Washougal and Steamboat Landing and downstream of Cottonwood Point and Steigerwald Lake National Wildlife Refuge. On the north side of Cottonwood Beach lies the 85-acre Captain William Clark Park. A two-mile long hiking, jogging, biking, and horseback riding dike trail passes through Cottonwood Beach and connects Steigerwald Lake with Steamboat Landing. 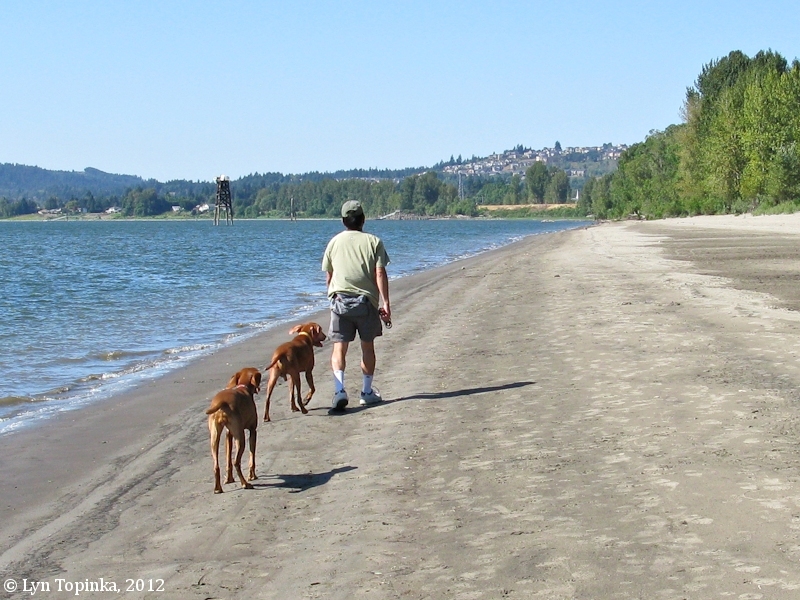 Reed Island lies along the upstream shore of Cottonwood Beach. Early fur traders use to call this entire area of lowlands Tea Prairie. 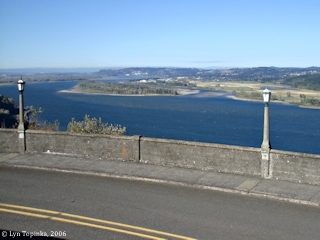 Cottonwood Beach was voted on to be a place of winter camp, but lost out to the location of Fort Clatsop. 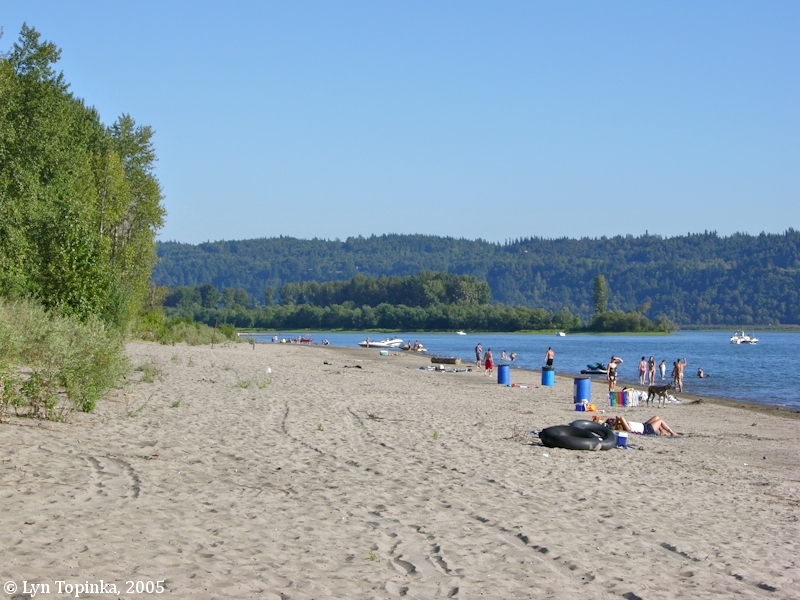 In the spring of 1806 Lewis and Clark spent six days at Cottonwood Beach while they gathered provisions for their trip up the Columbia. 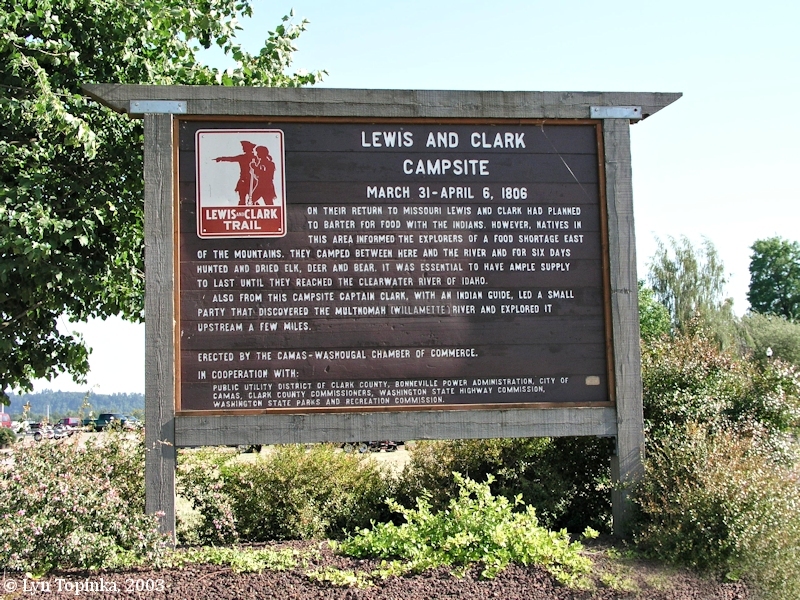 Lewis and Clark spent six days in March and April 1806 camping at Cottonwood Beach, collecting provisions for their journey upstream. 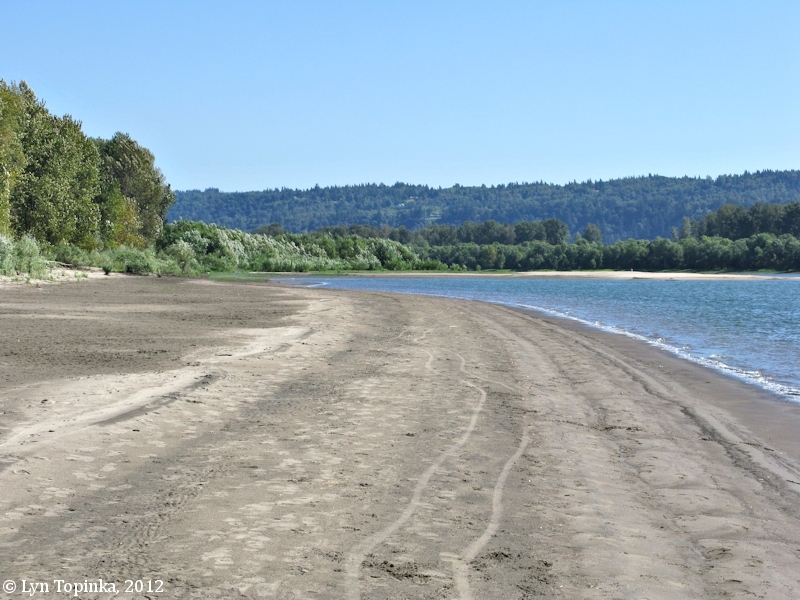 The "Seacalf river" is now called the Washougal River, and across the Columbia the "quick Sand river" is now simply called the Sandy River. The "Western Mountains" are the Cascades of Oregon and Washington. 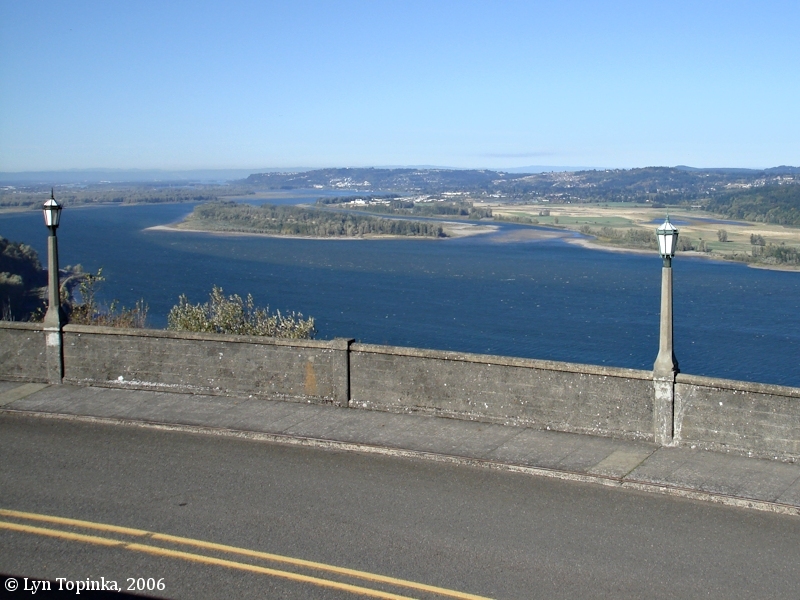 Between April 2 and 3, 1806, while Captain Lewis remained at the Cottonwood Beach campsite, Captain Clark led a party of men back down to Columbia to look for and explore the "Mult-no-mah" River (today's Willamette River), which the Indians had told them existed. Lewis and Clark's previous campsite was downstream at "Jolie Prairie" near Columbia Shores. Their campsite of April 6th and 7th, 1806, was in the Shepperds Dell, Oregon area. "On their return to Missouri Lewis and Clark had planned to barter for food with the Indians. However, Natives in this area informed the explorers of a food shortage east of the mountains. They camped between here and the river and for six days hunted and dried elk, deer and bear. It was essential to have ample supply to last until they reached the Clearwater River of Idaho. Also from this campsite Captain Clark, with an Indian guide, led a small party that discovered the Multnomah (Willamette) River and explroed it upstream a few miles." 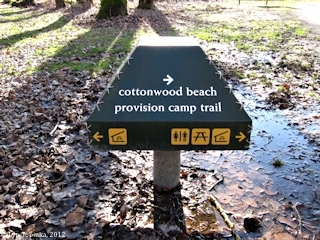 Source: Information sign, Cottonwood Beach, visited June 2003. Click image to enlarge Lewis and Clark Campsite sign, Washougal, Washington. Located at the Marina at Washougal. Image taken June 25, 2003. 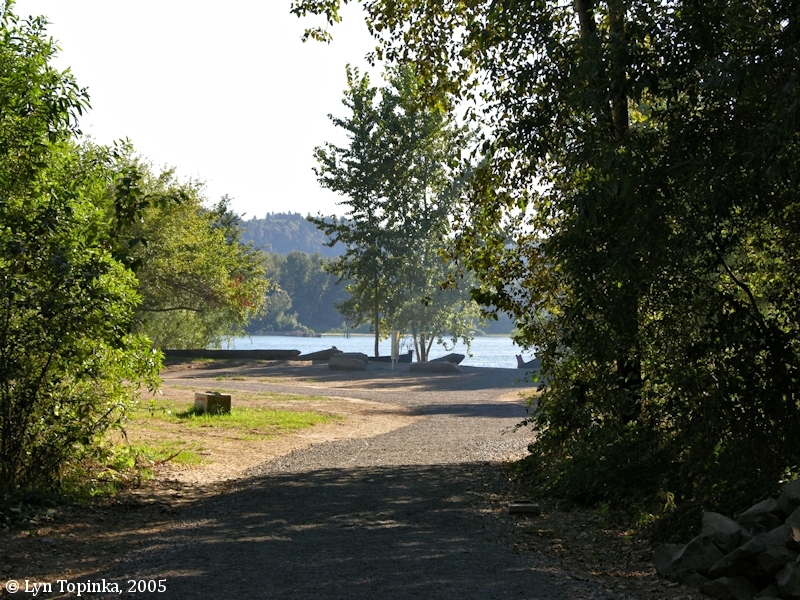 Click image to enlarge Captain William Clark Park, Cottonwood Beach, Washington, looking upstream. Reed Island is in the background. Image taken August 27, 2005. Click image to enlarge Cottonwood Beach, looking upstream, Washougal, Washington. Image taken September 11, 2012. Click image to enlarge Cottonwood Beach, looking downstream, Washougal, Washington. Image taken September 11, 2012. Captain William Clark Park, at the location of Cottonwood Beach, was formally dedicated on Sunday, August 7, 2005, after a weekend of gala events. 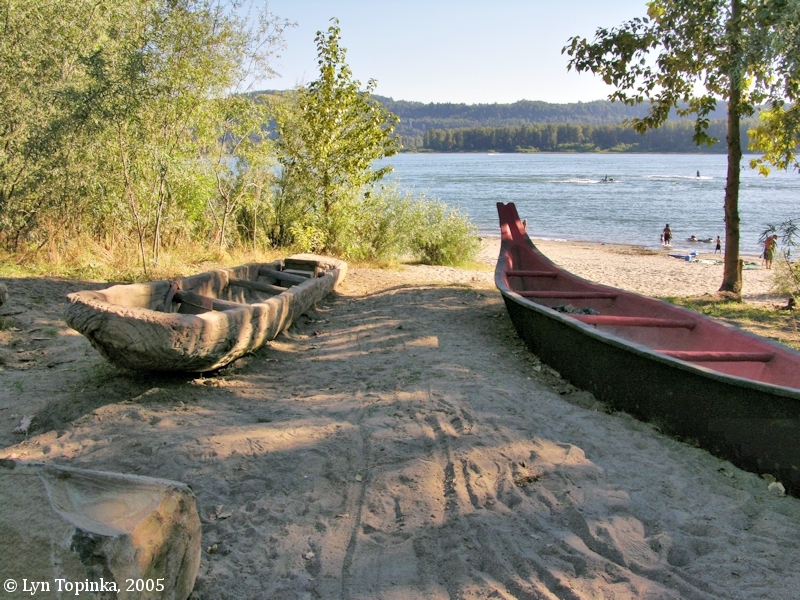 This 85-acre park includes walk paths, paved parking, picnic tables, covered cooking areas, a recognition plaza, three restroom buildings, and replicas of Chinookan canoes and Lewis and Clark's dugout canoes. There is also a two-mile long trail on top of the levee at the north side of the Park and just above the Beach which offers hiking, jogging, biking, and horseback riding opportunities. 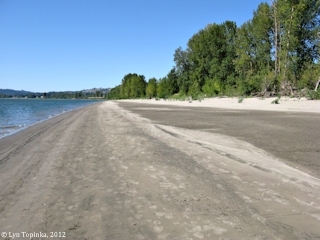 Cottonwood Point is the upstream tip of Cottonwood Beach and is located at Columbia River Mile (RM) 124.5. 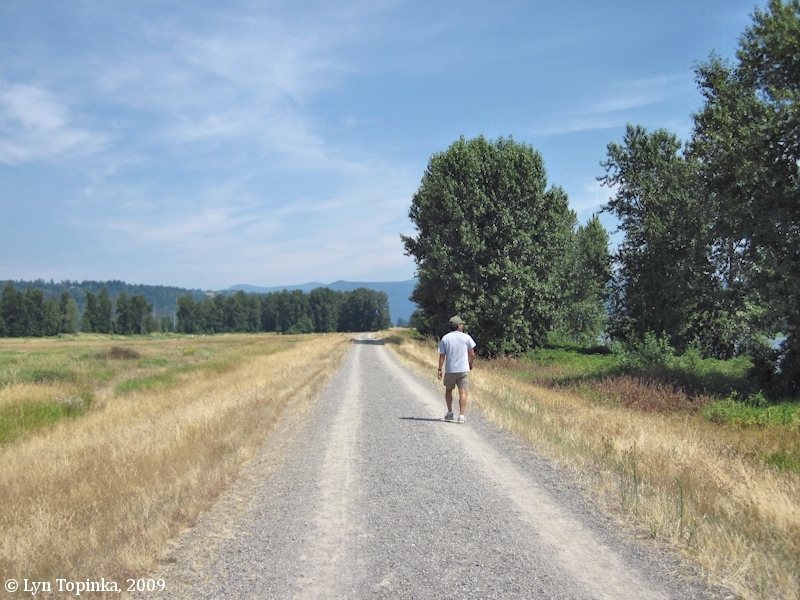 It marks the lower end of Steigerwald Lake National Wildlife Refuge. Reed Island lies just offshore. Charles Wilkes and the U.S. Exploring Expedition in 1841 called the point "Pt. Broughton". Other early maps call the point "Vancouver Point" (Approximately 3 miles further upstream is today's Point Vancouver, which Wilkes shows on his map but does not name.) 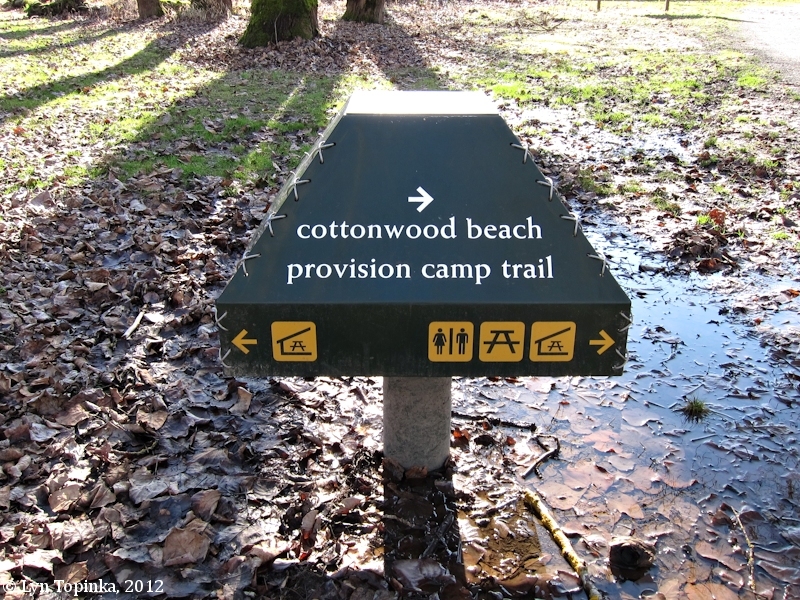 In 1932 the U.S. Board of Geographic Names made "Cottonwood Point" the official name.